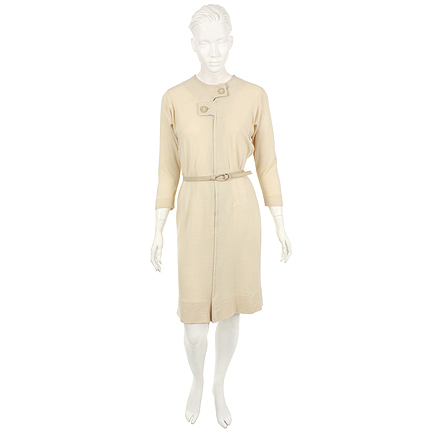 Worn by Terry McKay (Deborah Kerr) on the ocean liner with Cary Grant in the 20th Century Fox 1957 production of "An Affair To Remember". 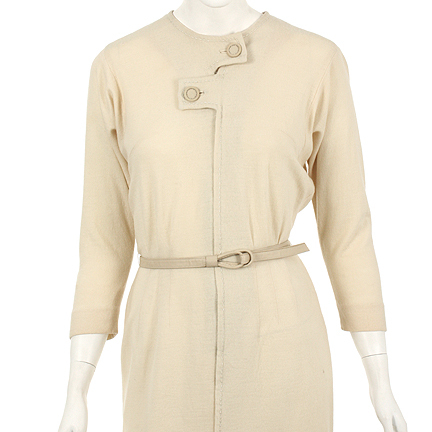 The off white wool dress has button closure at the neckline and top stitching trim. 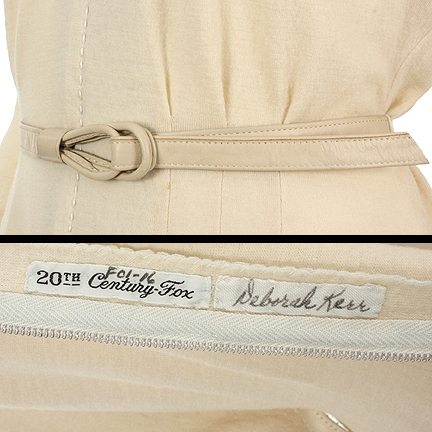 The garment bares a 20th Century Fox Label on the interior with "F01-16", along with a label that reads "Deborah Kerr". 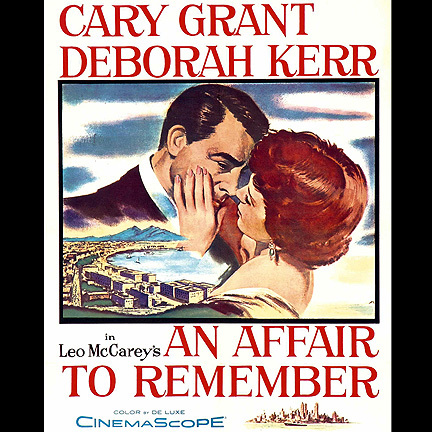 Considered one of the most romantic films of all time, this production also starred Cary Grant as the opposite starring character Nickie Ferrante. 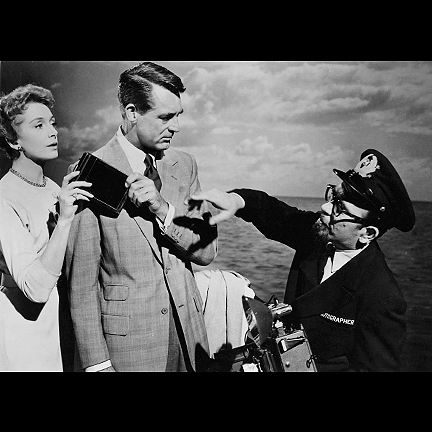 Nickie and Terry meet aboard an ocean liner, and fall in love while already in relations with other people. They agree to meet six months later atop the Empire State Building, after ending their other relationships and starting new careers. However, tragedy strikes Terry who becomes wheelchair bound and misses the rendezvous, she tries to conceal her disability from Nickie who mistakes her absence as rejection. 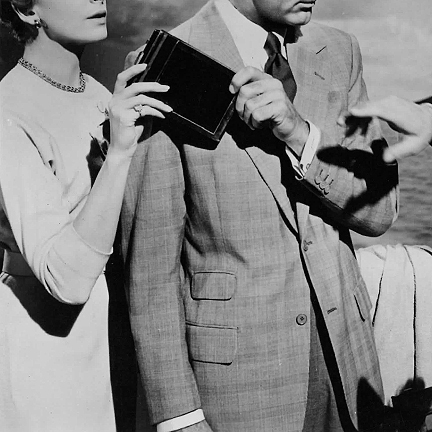 Directed by Leo McCarey, the film was nominated for four Academy Awards, including Best Costume Design for Charles Le Maire. 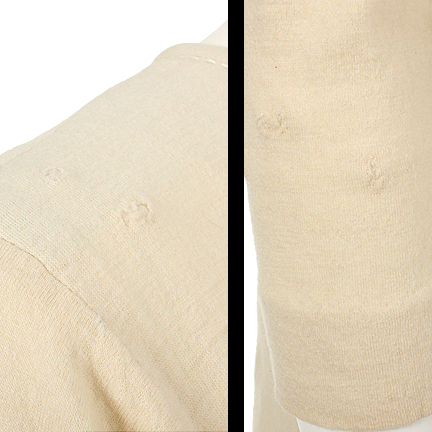 This garment is in good screen worn condition with minor evidence of wear from its use on the production and is accompanied by a letter of authenticity.